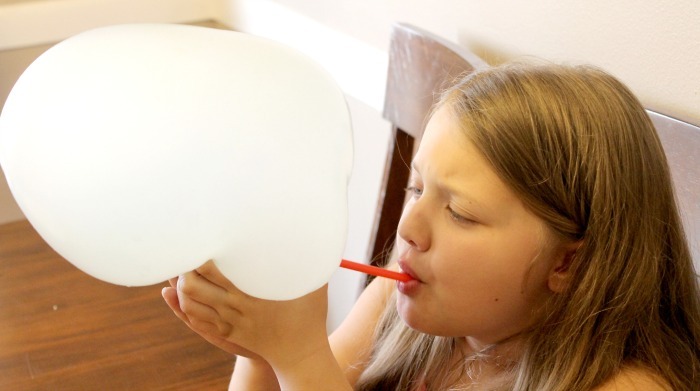 If your kids love to make slime then they are going to really love making this easy bubble slime recipe. It was actually my daughters idea to start blowing bubbles with her slime. She saw some videos on Youtube of people attempting slime bubbles and wanted to see if she could make them. 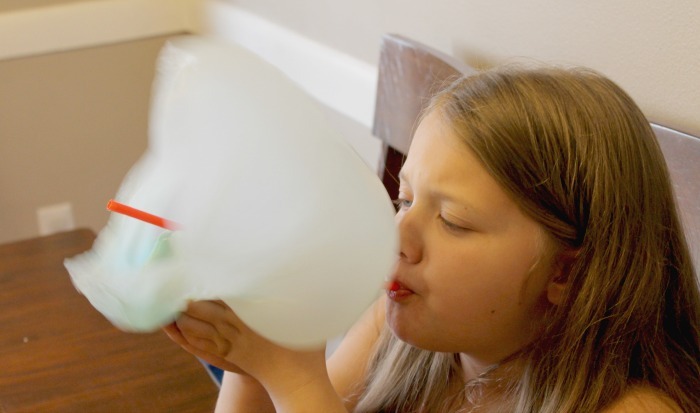 After a few trial and error batches of slime we came up with the perfect bubble slime recipe that is super quick and easy. To make bubbly slime you’ll first need to know how to make slime. 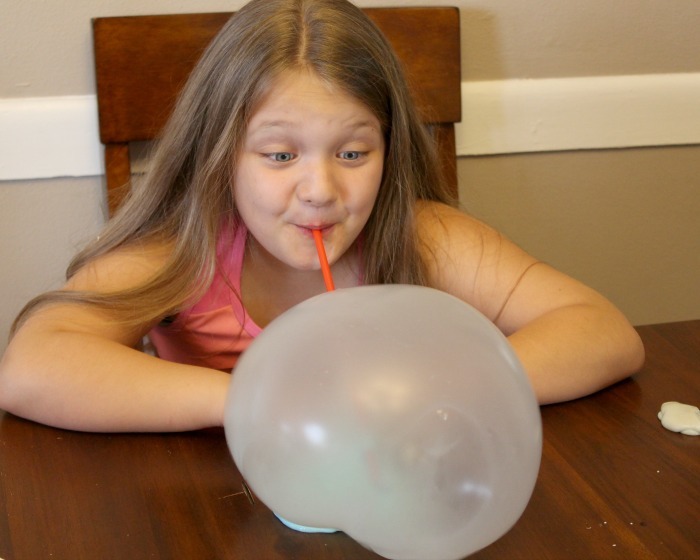 I have lot’s of easy slime recipes which are perfect for making this bubble slime recipe. SLIME TIP: Glue is becoming pretty hard to find in stores. 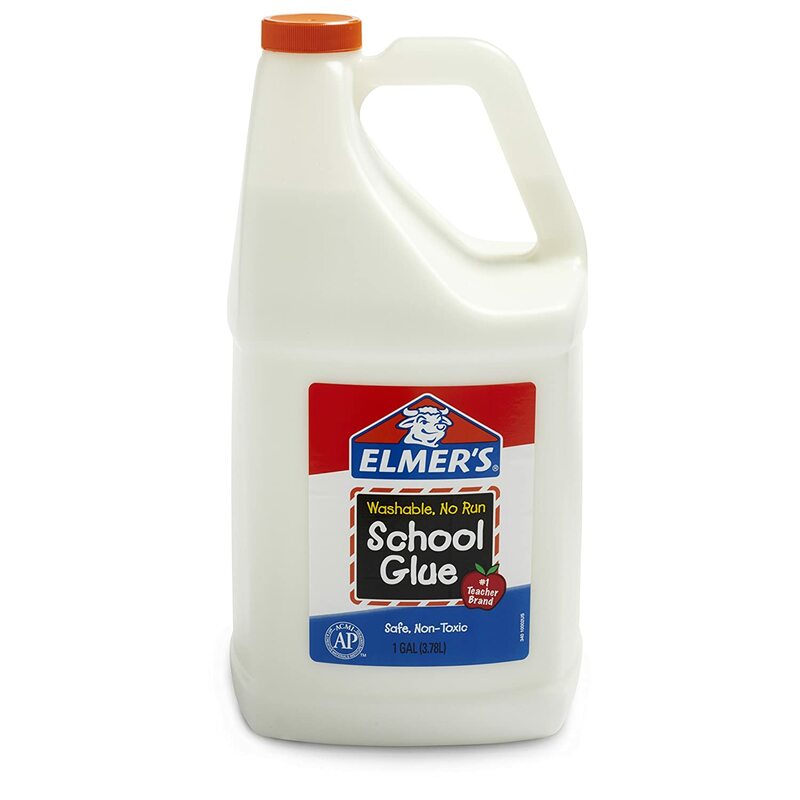 Save yourself the trouble and purchase a big bottle of Elmer’s glue on Amazon. It’s so much cheaper to buy online and less of a hassle. This is the glue that I buy in bulk for my slime recipes. It’s great having a large container because that means we can make slime anytime we want! 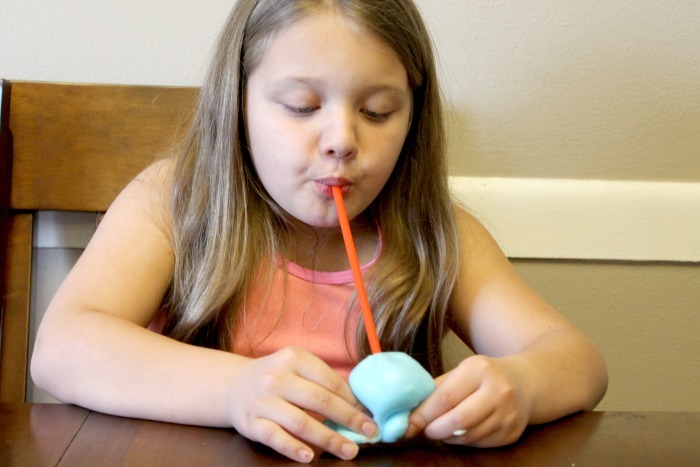 This slime recipe or any other slime can easily be made without Borax. All you need is liquid starch and glue. In my opinion, this is the easiest way to make slime. 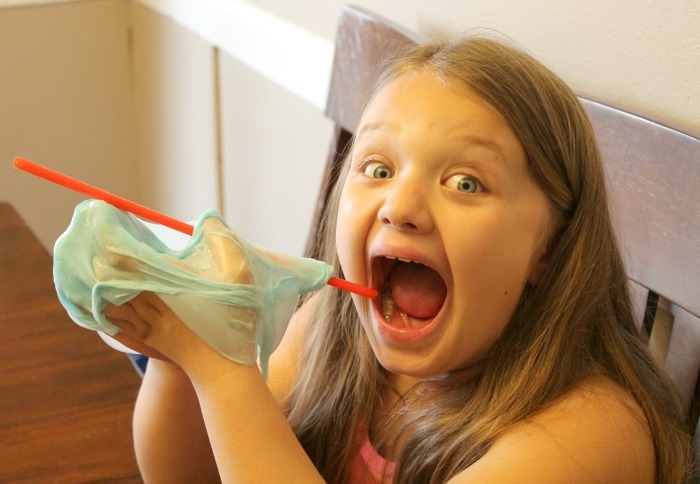 To make slime without borax just mix about 1/2 cup of warm water into 1/2 cup of glue and stir. Next add in about 1/2 cup of liquid starch, little by little, into the glue until you get the consistency of slime that you want. Make sure you pour it in a little at a time or you’ll get a big mess. Once you’ve made your slime recipe, your going to make a round ball with your hands. Make sure it doesn’t have any bubbles or holes in it or the air will leak out. 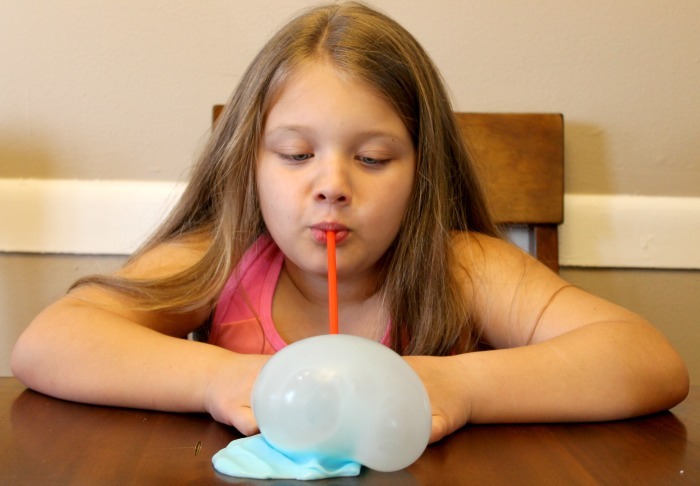 You’re going to need a straw to make slime bubbles. Take your straw and place your straw right in the middle of your slime. Now start blowing slime bubbles. Blow like your blowing up a balloon. Once you get started your slime will start to blow up and will get bigger…and bigger….and BIGGER! 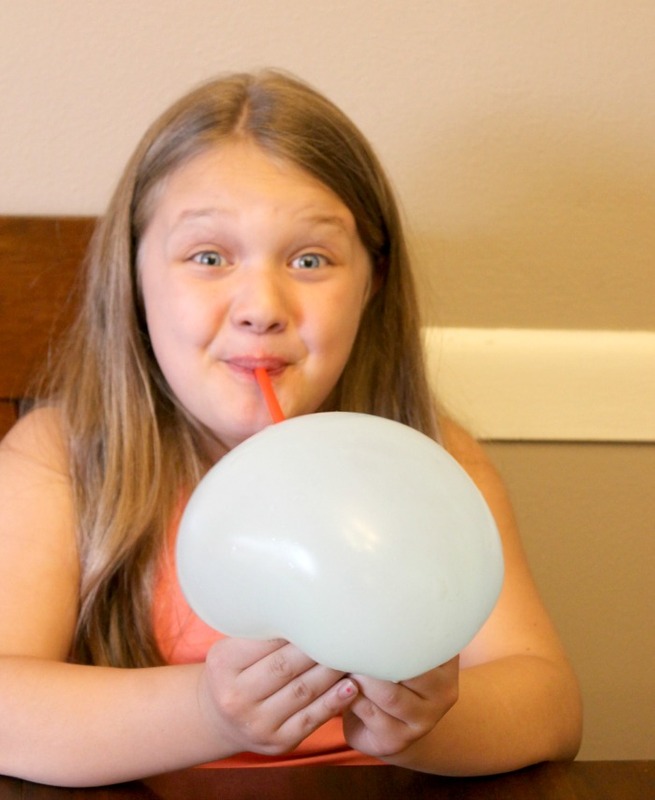 Keep blowing slime bubbles until your bubble is SUPER BIG! 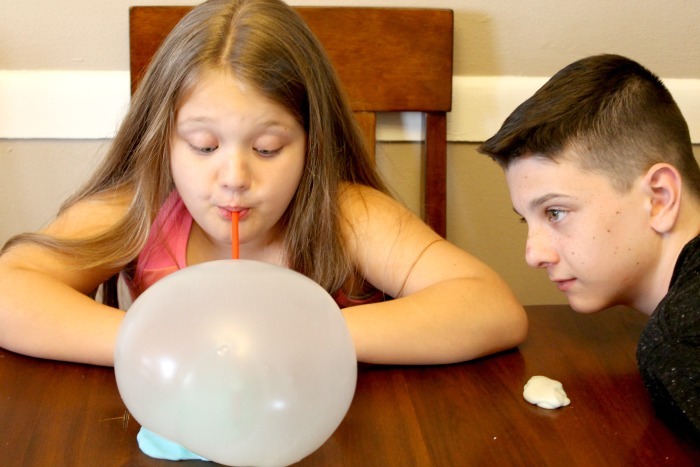 This easy bubble slime was such a fun experiment and my kids had a blast blowing lot’s and lot’s of slime bubbles. It was fun to see them try and out do each other by making the biggest bubble slime. For more fun slime recipes, check out our new Easy Glitter Rainbow slime or our Bug Slime recipe.